iRobot has a range of different robots which will hoover your house and now the company is launching a new device which is designed to mp your floors, the iRobot Braava Jet Mopping Robot. 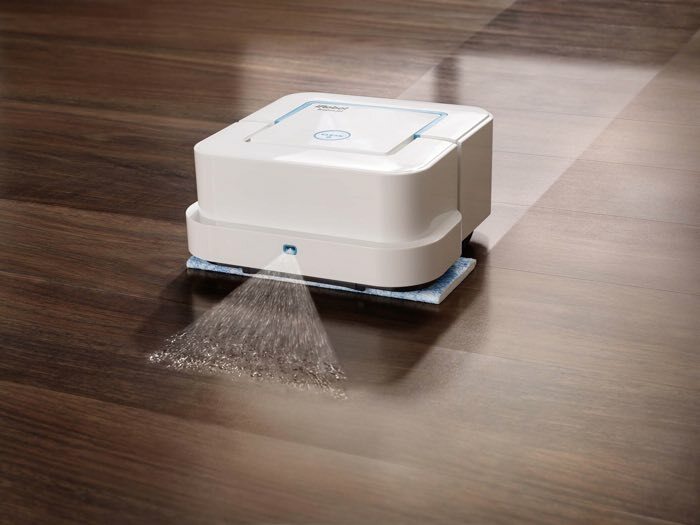 The iRobot Braava Jet Mopping Robot will retail for $199 and it will spray a jet of water on your floor and then move around mopping it up, you can see the device in action below. The device comes with three different cleaning pad, wet mopping pad, a damp sweeping pad and a dry sweeping pad, the device will cost $199 and a pack of 10 pads will cost $7.99, there will also be a washable cleaning pad which will cost $19.99. The company will launch their new floor mopping robot in the US on the 1st of April, you can find out more details about the device at the link below.